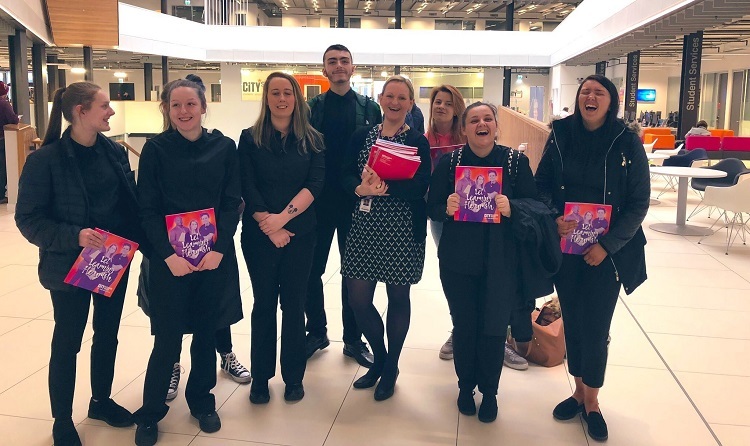 In partnership with Action for Children and Hi!, BaxterStorey Scotland opened its doors to twelve young adults from disadvantaged backgrounds, offering a two-week work placement at City of Glasgow College and Glasgow Caledonian University. The aim of the placement was to give the students, aged between 16-25, an opportunity to experience a realistic working environment, to help improve their communication skills and confidence. The hands-on training programme saw students learning the art of artisan baking, practicing their customer service skills and perfecting their latte art at Matthew Algie Coffee Academy. From Yucatan chicken and Mexican meatballs, to black bean tacos, the students served up some creative combos in the university’s ‘market street’, showcasing the best of Mexican inspired street food. The two weeks concluded with a graduation lunch, attended by friends and family of the trainees and fundraisers. Following the programme, five students joined BaxterStorey including twenty-five-year-old catering assistant Megan Gallaher. She said: “I would like to thank everyone for giving me the opportunity in supporting my student experience. It’s been amazing, and I am so excited for what’s to come as I look forward to my career with BaxterStorey”.